You need solid strategies and tactics to capture a king. Just ask Veronica Gouws, a master’s student in applied radiation science and technology at the North-West University (NWU). She would know – besides her studies, the game of chess is her true love and passion. “I have played chess since my high school days,” she says. Veronica boasts various achievements. She was part of the NWU ladies chess team that recently secured a silver medal at the University Sports South Africa (USSA) Chess Games held in Secunda. She scored the highest points in the team. 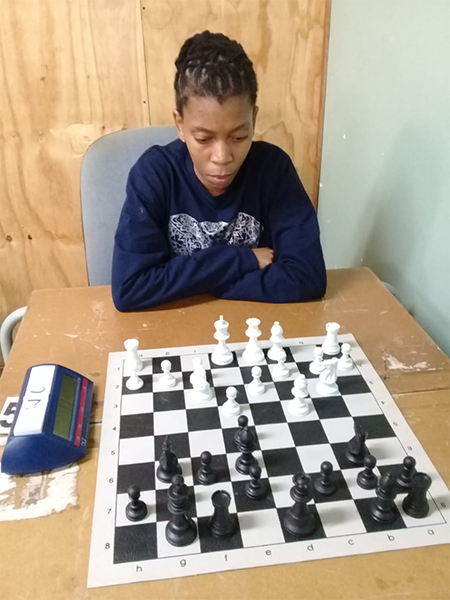 Veronica also recently walked away with the first prize during the Ray Laureles open chess tournament, hosted by the Ngaka Modiri Molema Chess Association. Her prize included a trophy, a cash prize and a weekend for two at Mmabatho Palms. During the NWU Sports awards she was also recognised as a provincial and USSA chess representative. Veronica says chess keeps her mind sharp and improves her memory, which can come in handy during classes and at exam time. Veronica Gouws excels in chess.